Season the Ricotta with some salt and pepper if desired and a sprinkle of nutmeg. Take teaspoonfuls of the ricotta and roll them into balls. Now roll these in the chick pea flour, flattening slightly, and let sit over night in the fridge to set. The next day, shake off excess flour and place on a baking sheet. Boil a pot of water. Place the Gnudi gently in the water and cook until they rise to the surface (for only 2-3 minutes). Do not overcrowd the pot as they might break. Place onto a plate with a paper towel to soak up excess water. Take a pan, heat the olive oil and gently place the Gnudi in the pan and cook until golden brown on both sides. Remove the Gnudi and keep warm. To prepare the sauce, in the same pan, add the butter, then the garlic, do not brown. Add a dash of hot water, bring to a boil and cook until you have a glaze. Season. Add the chopped sage. 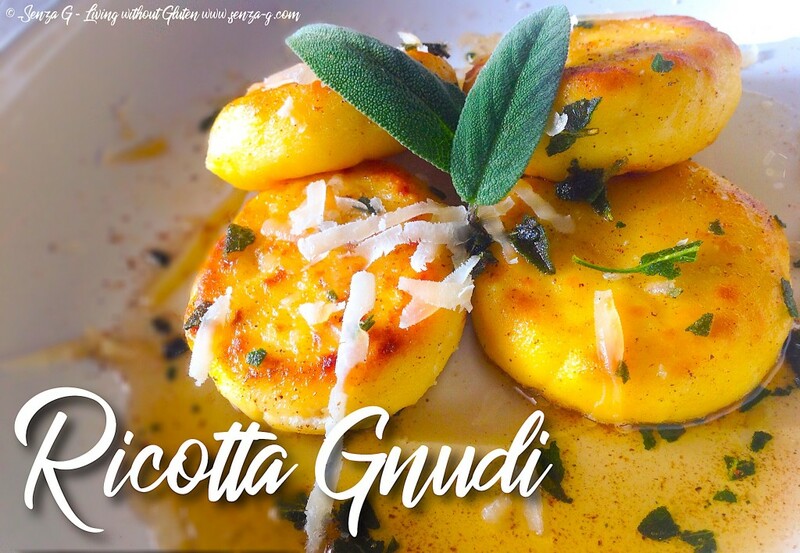 To serve, place the Gnudi on a plate, drizzle with the sauce, grate some more fresh nutmeg and Parmesan on top and garnish with sage leaves.